Someone please PLEASE explain to me how this makes sense at all. Please. Now, CDC Director Dr. Tom Frieden, the guy who couldn’t even go two minutes without contradicting himself on CNN about how Ebola is transmitted, is now saying that if we restrict air flights from the Ebola-stricken African nations, it will “backfire” and cause Americans to somehow be exposed to the disease. Wha…? Am I missing something here? How would it spread more here if it isn’t coming here on a plane — the fastest method of global travel commercially available — from the countries where it is spreading out of control? Governments could still send in special flights to send aid. The Pentagon is already talking about sending 4,000 soldiers now instead of the initial 3,000 Obama originally ordered. But let’s look at this logically for a moment, from a standpoint of using something called common sense (which apparently isn’t that common anymore, and is definitely going extinct within the U.S. federal government). Ebola Patient Zero Thomas Duncan arrived here via not one, but three flights from Liberia, through Brussels, to Dulles Airport in D.C. and finally on to Dallas, Texas. When he left Liberia, he straight up lied on the questionnaire they presented him with about whether or not he had been exposed to anyone infected with Ebola. So step one on their “rigorous” protocols for stopping Ebola from leaving the country failed. Utterly. That’s because, and feel free to send in the scientific documentation to correct me if I’m wrong here, but questionnaires have not been shown in any studies that I am aware of to stop freaking viruses from spreading! Secondly, Duncan was not showing any symptoms when he left the country, so when they took his temperature to see if he had a fever, they came up with nothing…even though he still had Ebola. That’s because it can take up to 21 days for someone to present with symptoms. That’s three weeks. So protocol two also failed, indeed proving that simply taking people’s temperatures is not a good enough preventative measure. Why? Because again, you can’t stop Ebola with a thermometer and a worksheet. These are not really valid safety measures. This is probably why Virologist Heinz Feldmann, who has been studying Ebola and working on a vaccine for two decades now, told Science Magazine in September that he felt the most unsafe, of all places he’d been to in Monrovia, specifically at the airport because their Ebola screening measures were quote “a disaster”. But beyond that, what in the hell is the CDC Director even talking about? The Ebola patient came here on a flight. 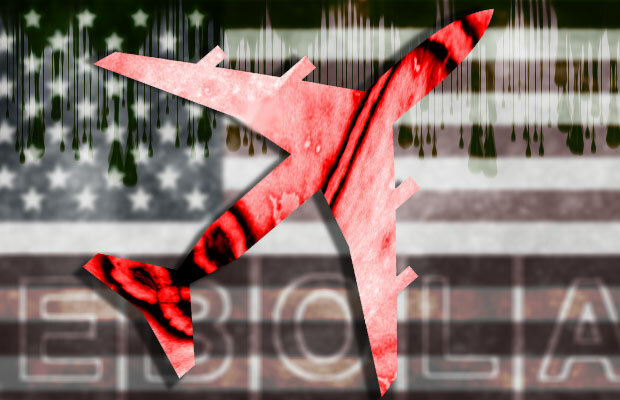 If we stop flights, how will that “backfire” and cause more Ebola here? Pardon my caps, BUT WE WOULDN’T HAVE EBOLA HERE RIGHT NOW IF THEY HAD STOPPED FLIGHTS! It’s actually exceedingly simple. Perhaps that’s why the government can’t seem to conceive of it. Some things are difficult but this isn’t one of those things. A) If no flights come to this country with passengers who originated in Ebola-ravaged countries and might have Ebola themselves and not even know it, then B) it will at least be that much more difficult for Ebola patients to slip through the cracks and come here, eliminating a very large percentage of the threat for it to spread. My teenage daughter gets this concept…why can’t the people who are supposed to be in charge of our country get this concept? How about this? How about if someone has even been in those countries, they have to wait 21 days before coming here in a preventative quarantine? I’m certainly not for martial law or taking away anyone’s rights, but at this point if they show up here with Ebola, the CDC will quarantine them and take away their rights anyway, as we are now seeing with Duncan’s family members in Dallas who are on a 21-day control order that forces them to stay inside and make themselves available for any and all medical tests public health officials deem necessary on demand, or they will face criminal charges. So, either way, rights are not being upheld. Might as well not put a bunch of other people in mortal danger while we are already on the slip ‘n slide straight to global pandemic land. By the way, people “transiting through” as he called it, aren’t even required to answer questions about whether or not they’ve traveled to Guinea, Liberia or Sierra Leone. That’s how “rigorous” these supposed safety measures they keep referring to as “rigorous” are. In fact, the doctor in Atlanta who traveled there from Guatemala to protest the CDC said the only question he was asked upon entering the country from South America is whether or not he had any alcohol or tobacco on his person. That’s right. He didn’t even get the little questionnaire. And people like Dr. Tom Frieden are the people in charge of this nightmare…a nightmare our government did everything it could to help facilitate, or at the very least, hardly anything to actually stop. But don’t worry. The White House says they have it all under control. We really are living in a bad horror movie. In the meantime, I feel like the guy running the competition at the end of the Adam Sandler film Billy Madison.